In March 2019 we decided it was time to up our game in terms of our creativity. We wanted to do something that would be inspiring, worthwhile, and most importantly, fun. An OMB Twitter campaign. So, we thought we’d run a little social media experiment, and decided to run a brief: “Advertise the benefits of #SocialMediaMarketing for Businesses and SMEs“. Our goal was a bit meta. 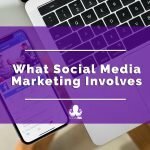 Use social media marketing, to advertise the benefits of social media marketing, and prove the value of social media marketing. We had an (excuse the Octopus pun) inkling that our experiment would generate some interesting results. But we had no idea what to expect. Suffice to say, we were blown away by the response that followed. In total, we received 125 entries to our OMB. But Why Would This Matter to You and Your Business? Well, that’s what I wanted to share with you today. What really blew us away about running this OMB Twitter Campaign was the definitive results we saw. Not just on Twitter, but across our other online platforms too. In the last 28 days, you can see our tweets have gained 168,000 impressions. That’s up by a staggering 1,260%. We’ve also gained nearly 100 new followers as a result. But that’s not all it’s done. We’ve become more active on Twitter as a result of running this OMB. We’re engaging with a whole community of creatives and copywriters, and we absolutely love the conversations we’re having as a result. During the course of the month, our team has ended up posting more than 380 Tweets. And almost all of them have been part of a bigger conversation, with other brands, with professionals, and the public. 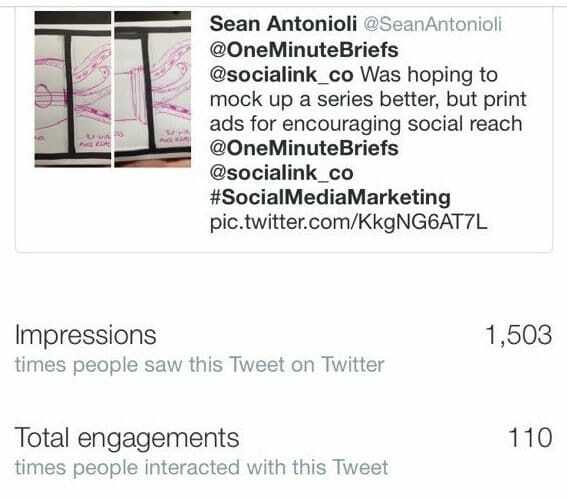 On the day, that Tweet on OMB’s account received over 5,000 impressions and more than 400 engagements. What you need to remember is, it wasn’t just our Tweets that mattered. It wasn’t OMB’s Tweets either. What really makes an OMB work for a brand is the OMBLES themselves. Everyone that takes part in the OMB Twitter Campaign. Most importantly, all of this organic traffic on Twitter was generated by engaging with the OMB community during our brief. OMB is mainly hosted on Twitter. They post the entries, shortlist, and winners on Facebook too. So, we decided to get equally involved across all our platforms to really engage with everyone that took part. 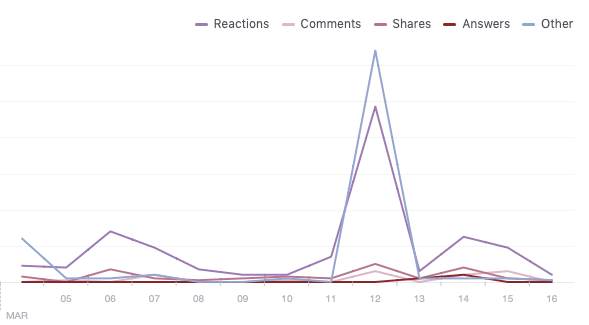 You can see the clear impact this had, with another 5X peak in engagement. Our daily traffic on the website spiked nearly 5X the day of the OMB. We were thrilled to see people getting involved. But when it started to translate into website visitors and ultimately leads coming through, we were ecstatic. You can see from the stats we had an additional smaller jump the following day after announcing the winners. It’s funny how even though it’s called social media, we can often find ourselves forgetting the social aspect and simply using it as a megaphone, to keep shouting out our message. This is the biggest benefit for brands running OMBs. See just how engaged you can become with the online crowd. We think it’s enough to get brands “hooked on a feeling” so to say. 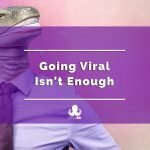 When we get asked by our clients how to go viral, we facepalm, hard. But we do get asked these sorts of questions. What we try to explain is there’s a need to keep a consistent, high-quality stream of content that brings value, engages with the audience and starts a conversation. 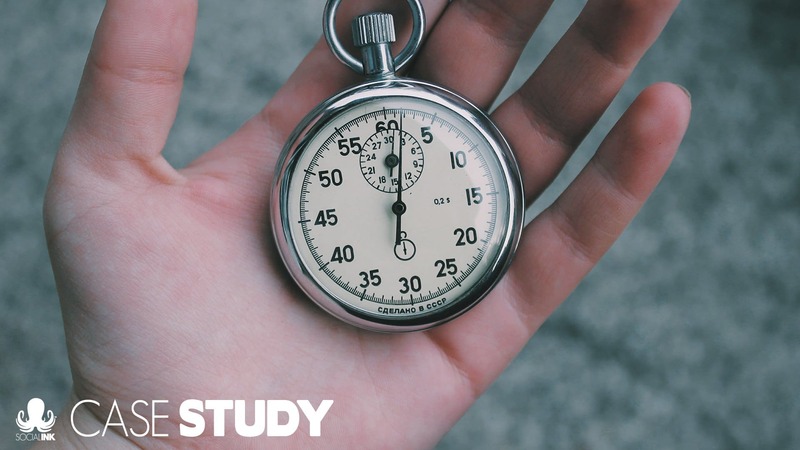 To sum up, if you want to jumpstart your Twitter profile, why not run a One Minute Brief? You’re engaging with an incredible group of people, and you’ll find more creativity and different points of view than you could ever imagine. You can, of course, reach out to us to find out more. In closing, we’d like to say a huge thank you once again to everyone that took part. It was a truly amazing day, and we had a great time. If you want to see all the entries, you can find them here on our Facebook page.